1.) Do I have to fish all 6 events? No you may fish one or more events if an opening exists. We will most likely fill but if we do not you must be on the paid waiting list and your 100.00 entry and 50.00 Team membership paid in full. If we fill with paid teams before the first event we will not have waiting list entry's. If you are not able to get a spot we will refund your money minus any pay pal charges that are not refundable if pay pal was used. Those teams entering deposits or full entry for the year will have precedence over team with lesser entries. 2.) How many alternates may I have in a year. You may have as many as you wish. 25.00 per alternate membership is required. For points purposes you may only have 1 per year max for Angler of the year. If you have more than 1 we will start a new team for points. You may reserve a spot in the 2019 KMTT series by paying 50.00 towards each of the 6 events (300.00) and team membership (50.00) that will guarantee your spot for the year 350.00 total. Balance may be paid prior to each event or at the event the morning of. This also allows you to draw for take off position once. We will not accept a single event deposits on an event. Deposits are for all 6 only. 4.) May I enter an event the morning of ? Yes if we are not full just show up and pay the 50.00 team membership if you have not done so and pay your entry 100.00. You will not get to draw a number you will be assigned a number. If you pay all 6 events in full 600.00 and membership 50.00 you will draw twice for take off position. This allows you to take the best choice from the two draws. Only the teams in the pot will be eligible to win. 7.) Big Bass of the year. A 20.00 one time side pot. The biggest bass of the year will win the pot if they are in it. Purchase a brand new Ranger boat or new leftover new boat and Knox will pay 1/2 off your entry fee's 50.00 per event up to 300.00 (Incentive is good for only one of the OMBTT run circuits.) OMBTT incentive is for fiberglass only KMTT can be either Glass or Metal boat. We are dropping the full field number of boats to 40. This does not include those who have purchased a new Ranger from Knox Marine. They are considered incentive teams and are above and beyond the 40 boat limit. 10.) Angler of the year award. We will give 600.00 cash to the points champs in 2019. We pay back 90% of all entry's at each event. All side pots are paid back 100%. 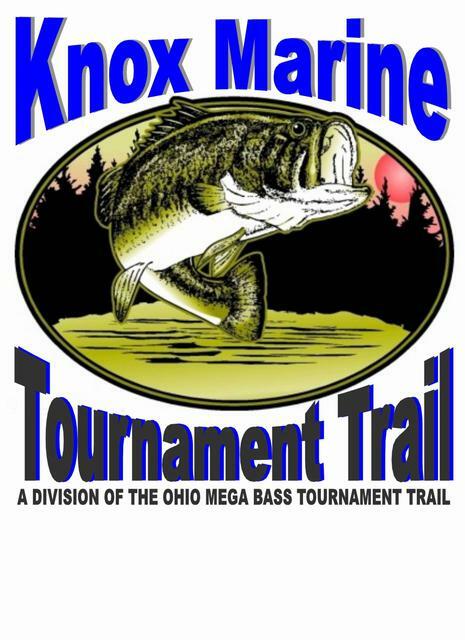 Incentive teams have the other half of their entry paid by Knox Marine. All teams except 1 staff team pay full entry including tournament director. 12.) May I fish alone? Yes you may fish alone. Prices are still the same a team amount.